Decathlon is partnering with Dutch pricing automation software provider Omnia Retail following the launch of its London office in September. The contract follows a hugely successful project between Omnia Retail and Decathlon in the Netherlands, which saw the latter’s conversion rate increase by 80%. 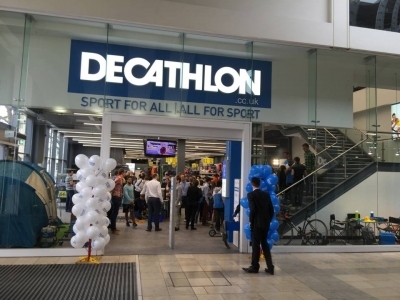 Decathlon initially recognised a need for external support in 2016, to ensure that ‘value-for-money’ remained central to its pricing proposition as it scaled up, while maintaining profit margins. It also wanted to fully exploit the potential of Google Shopping and reduce the operational resource spent on pricing and marketing. Omnia Retail was brought on board to provide intelligent software and tools to automate all operations in the Netherlands related to pricing and marketing. This new strategy aimed to give the sports retailer more time to focus on broader expansion plans and generated some impressive results. The project freed up 20 hours per month in operational capacity alongside increasing sales conversion rates by 80% for dynamically priced Decathlon products. The company also saw its year-on-year revenue in Google Shopping grow from 50% to 900%, while simultaneously increasing the return on advertising spend by 50%. In addition to online sales, this omnichannel pricing and marketing strategy also created a 90% boost for in-store revenues caused directly by Google Shopping.